Yippeee – there’s internet this morning! 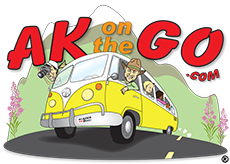 Here’s a quick post, AKontheGO’ers, before the weather gods descend their misty, cloudy, snowy stuff upon us once again. Yep, AK Fam is way, way back in the wilds of Alaska at the beautiful Kennicott Glacier Lodge, owned by the very gracious Rich Kirkwood, and Rich’s lovely lodge is located on the grounds of Wrangell-St. Elias National Park’s Kennecott National Historic Landmark. It is kid-friendly paradise, and any family who makes the effort to get here will surely be rewarded with a vacation like none other. This is heaven, if heaven means yellow leaves, rocky faces, historic mine buildings, and miles of glacial moraine. It’s also a retreat from daily life – 60 miles from the nearest city (Chitina), and more than 220 miles from Anchorage. Took us eight hours to finally arrive on Thursday, but every single bone-jarring, dirt-road moment was more than worth it for our family’s Labor Day weekend. 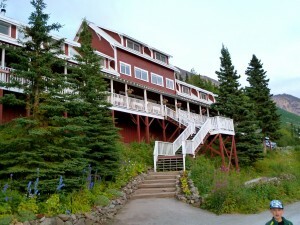 Kennicott Glacier Lodge has been the centerpoint for hospitality at Kennecott Mine for almost 25 years. A beautifully-maintained property offering view rooms, meals, and uber-relaxation by all ages, families can find everything they need at their feet. Everything, that is, except their car. No private vehicles are allowed by visitors, so everything needs to be parked and schlepped by the lodge. Just leave your worries in the vehicle, people – and call it good. A shuttle is provided by the community of McCarthy, and the lodge also squeezes in folks if they’re on their way down to pick up or drop off guests. Just ask. The community shuttle is $5 one way. We brought our mountain bikes, kids old enough to handle rocky tread will love, love the chance to bomb around. 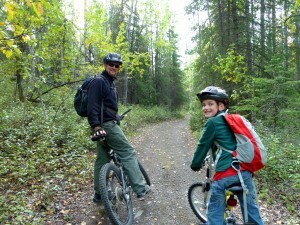 Biking to McCarthy along the Wagon Trail. We’ve hiked, biked, and scrambled around the mine; AK Kid has met other children and taken a peek inside life around Kennecott Mine in the 1920’s, pretending to be another “Kennecott Kid”. It’s fascinating, and we’re not done, yet. McCarthy, the closest thing to “town” the miners had (in fact, it was built to support the desired debauchery during the mine’s early years), is 5 miles away down that scrubby dirt road or the Wagon Trail, a great hike or bike ride. We visited the museum, ate lunch with a pack of random dogs, and found many relics left over from a very resourceful industrial age. Kids will thrive here; the atmosphere is one of natural curiosity and children of any age are welcome. 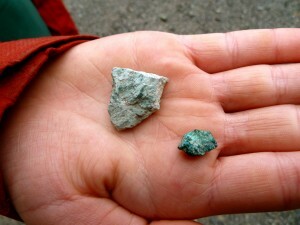 Parents do need to keep an eye on their little ones, however – rusty metal, unexploded shells from mining days, and holes do exist, but the NPS does a great job of signing the spots. 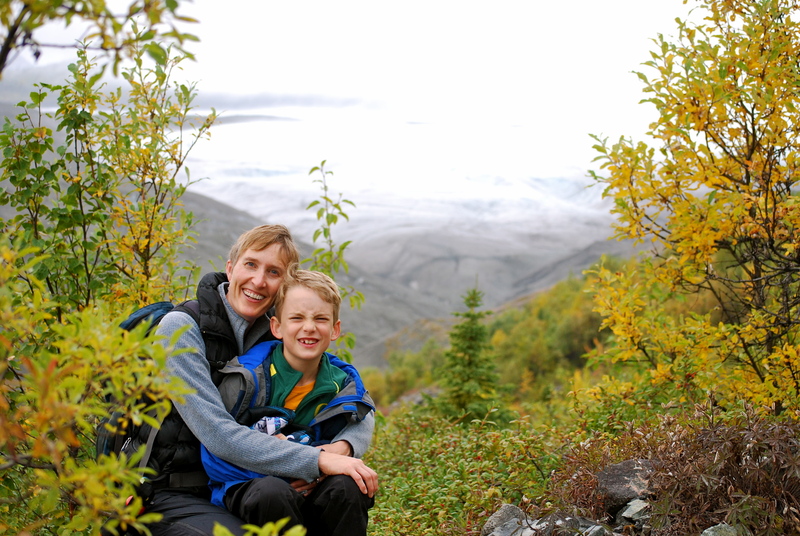 AK Kid has stood in awe at every new discovery, and park rangers are full of enthusiasm for their seasonal work, so the Junior Ranger program is one of the best. The name switch is due to spelling over the years. The Kennecott Mining Company came, saw, and conquered under that name – sometimes even spelling things “Kennycott”. It is this traditional spelling with an “e” the National Park Service chose for the Historical Landmark title. The Kennicott Glacier was named first, however, and the Kirkwood family chose to give their lodge that traditional spelling. Confusing? Sort of, but it’s part of the historical fun! Getting here is somewhat arduous, but not as difficult as it was in the past. Fly in, if you wish, via Wrangell Mountain Air from Chitina, or choose to drive from Anchorage or Fairbanks to Glennallen, then Chitina, then along the Edgerton Highway 60 miles to McCarthy, where you’ll park. Allow all day to travel, and remember, if you’re renting a car, ASK first if you can drive it along the bumpy dirt road. Many companies simply won’t allow it, and change their minds each year. Best to do your homework ahead of time. RV rental companies, for the most part, do not allow it, either, and I wouldn’t recommend it anyway. The road is narrow, and oncoming cars won’t be able to squeeze by. 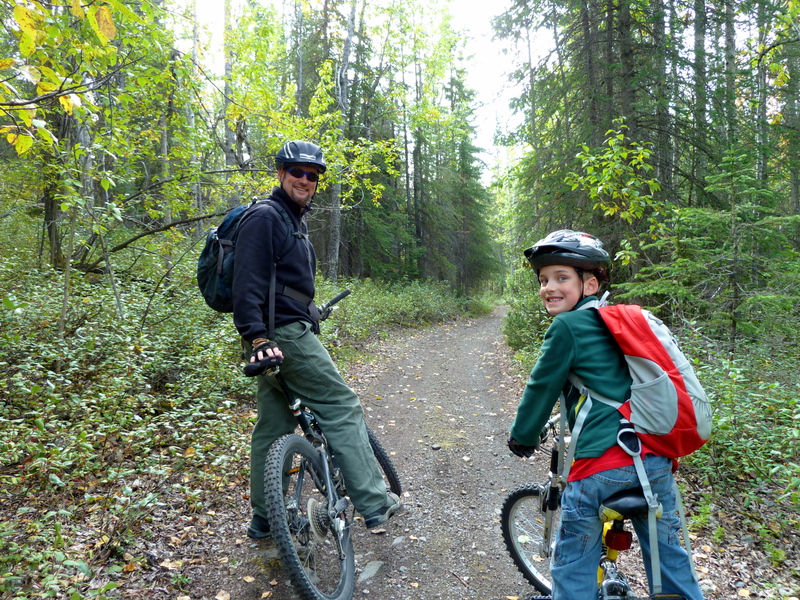 The Fairbanks Visitor Bureau can provide a list of companies who allow dirt-road access with rental vehicles. Anchorage Visitor Bureau has a great list, as well. Kennecott Mine's Concentrator Mill, with fall colors in the foreground. 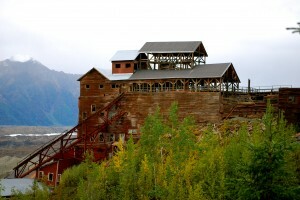 If you do visit McCarthy/Kennicott, plan to stay at least three nights; the activities are abundant, the scenery is stunning, and it’ll take you and the kids a day to unwind from the drive. One more note – black bears also thrive here, so bring the bear spray, use your bestest bear-aware etiquette, and make tons of noise (not a problem for us). Oohhh, my internet is fading….I want to make sure to post a few pictures, so here goes, and we’ll make sure you see more this coming week. Posted in Alaska Road Trips, Big Adventures, Hiking in Alaska, Miscellaneous and tagged Alaska, Alaska with Kids, Family Travel, Kennicott Glacier Lodge, McCarthy, Wrangell-St. Elias National Park.